Before The Moon is a luxury wedding and event planning consultancy. We design, plan and produce elegant, glamorous and bespoke events. 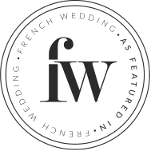 From Paris, France to destination weddings in Europe and beyond, we strive to be the best at what we do. Whether you are visiting our site with your own celebration in mind, or just taking a look around, we hope a tour inside will prove informative and inspiring.